Sport – Accessories OpenCart Template is designed for Sports, Games, Gym, Travel, Accessories, Automotive, Tools, Minimal and Multi purpose stores. This theme is unique and look simple for selling sports equipment. This template is compatible with all latest browser and devices. We also include quick start package with this theme to install this theme on your server with just one click. Well-structured and commented code for easy customization. Fishery – Fishing OpenCart Template – the website of an online store selling fishing accessories should show both sides of the hobby activity, and leisure. This OpenCart template does the job perfectly gorgeous pictures show beautiful sights and accurate animation effects make the pages look more dynamic. The design is simple and practical customers get what he wants and is not distracted by annoying pop-ups. If you have clients from different countries, it won’t be a problem to get a payment in other currency- the template has multilingual and multicurrency modules. Decord – Interior OpenCart Template is a ready-made website solution. It’s designed to create powerful and impressive online furniture stores. The wide possibilities of adjustment will allow tweaking every visual element. And integrating the necessary functionality. This is complemented by a high degree of SEO optimization, thanks to which your store will be able to get the highest positions in search results. This will greatly simplify the further promotion of the finished website on the Internet. This online store website loads quickly and works smoothly. This Interior And Furniture Store Clean OpenCart Theme is a stylish solution enhanced by powerful functionality. Ideal for a furniture store website. Quick Start – Cars & Motorcycles OpenCart Template must have design elements that create an atmosphere of trust and make navigation easier. And code that provides you with constant no issue work. It perfectly suits auto parts business and motorcycle accessories business. Due to minimalistic design, it concentrates customers attention on products. There are category pages you can fill with content and products. In order to increase your client base developers built-in multilingual feature. And due to e-commerce feature, you can install currency options. It also has a wishlist, cart and compare features. 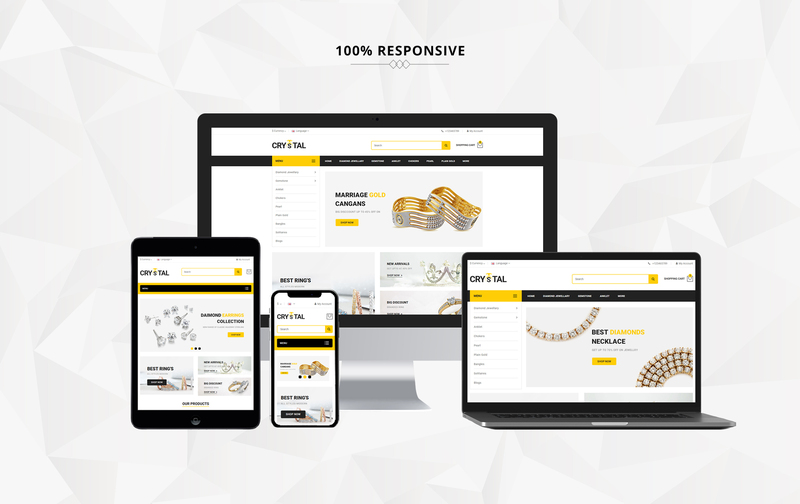 BestEl – Electronics OpenCart Template must work without issues and contain many useful features. In addition, it is essential for any e-commerce business to strive to provide customers with intuitive navigation and comfortable shopping. In addition, a gadget shop must have a clean and eye-catchy design. BestEl meets all listed requirements. It provides you with many pre-built pages you can fill with content. Designed by professionals it looks great and allows you to make an accent on your products. Vape World – E-Cigars OpenCart Template was created to sale any items connected with smoking – including vapes, e-cigars, tobacco, pipes, etc. The design is rather typical and ordinary – big slider with sharp photos, categories tiles, accurately animated content boxes. When entering the vape online shop the user expects to see all those, and that’s why it is used in the design. Payment system works smoothly and doesn’t cause any troubles, the transaction could be made in several ways and using several types of currency.